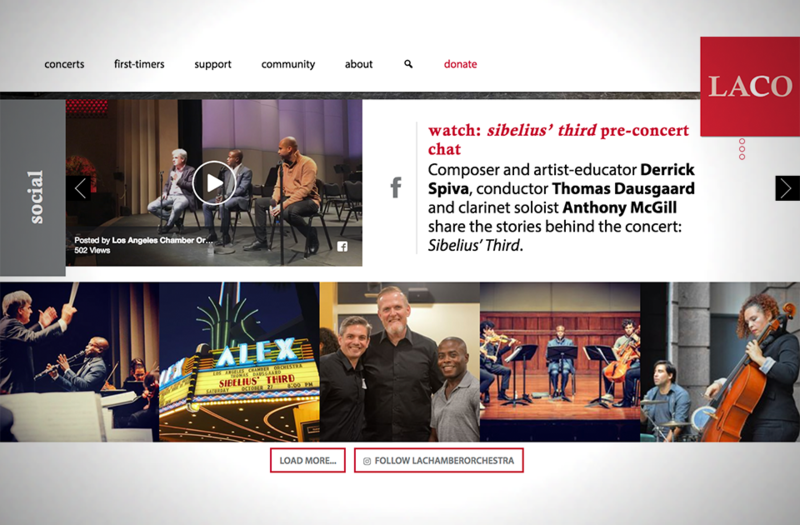 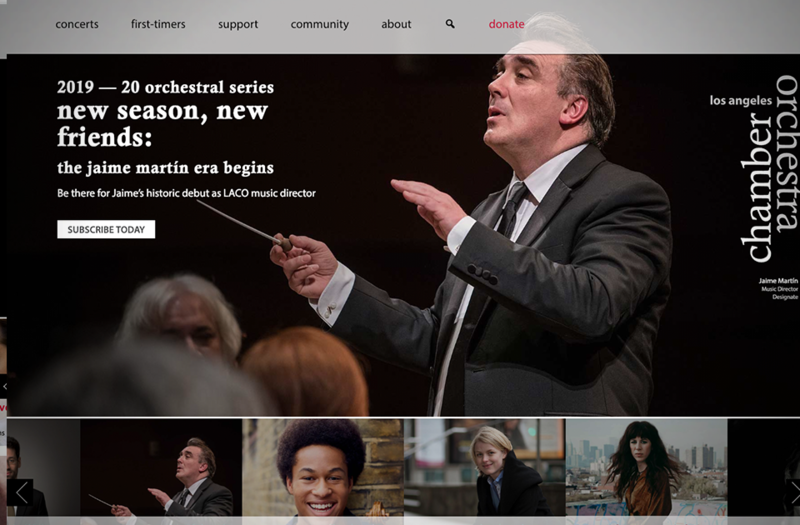 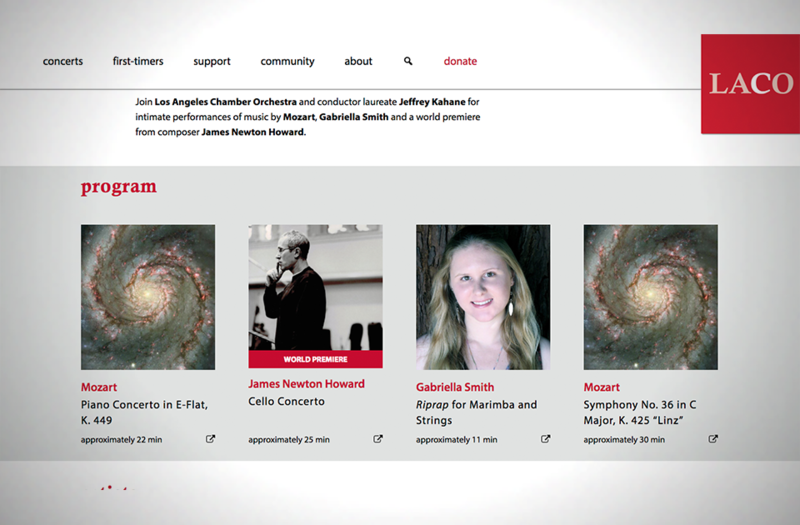 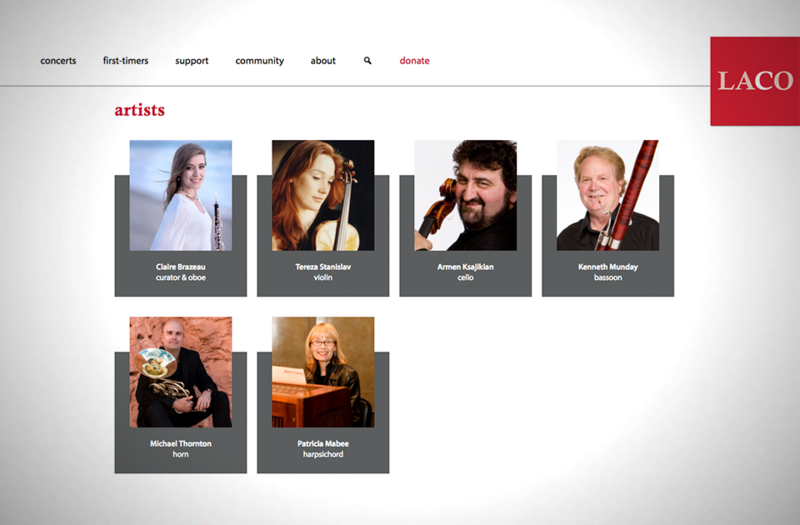 The Los Angeles Chamber Orchestra sought a new web presence that translated their brand to the digital era. 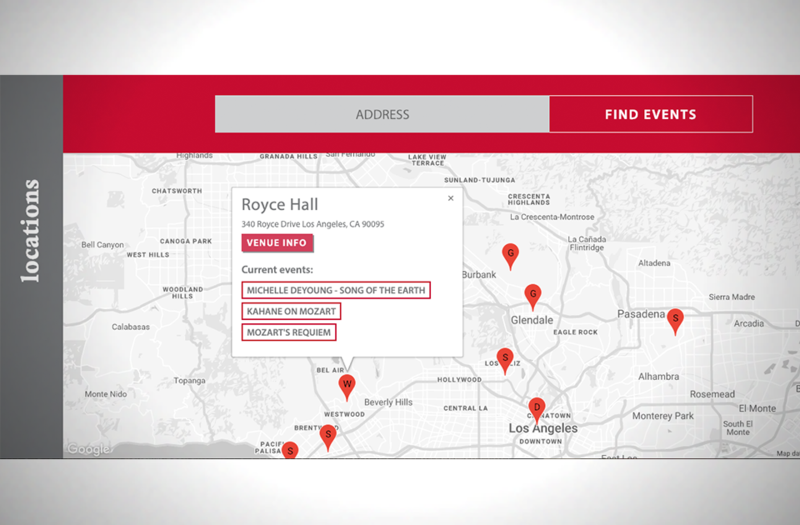 With performances in multiple venues across Los Angeles and patrons who are highly sensitive to traffic and convenience, the site needed to make it easy for audience members to find upcoming concerts close to them. 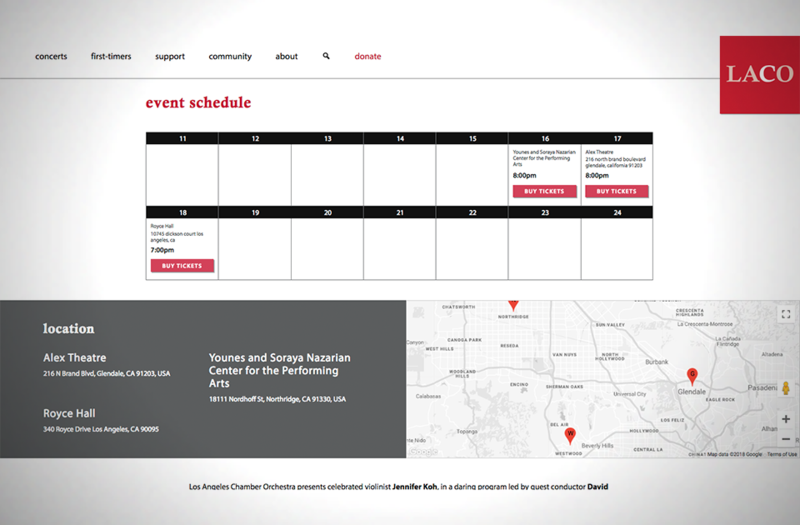 The organization also wanted to take advantage of our numerous design capabilities to track user behavior trends and present their content in a fresh and modern way.